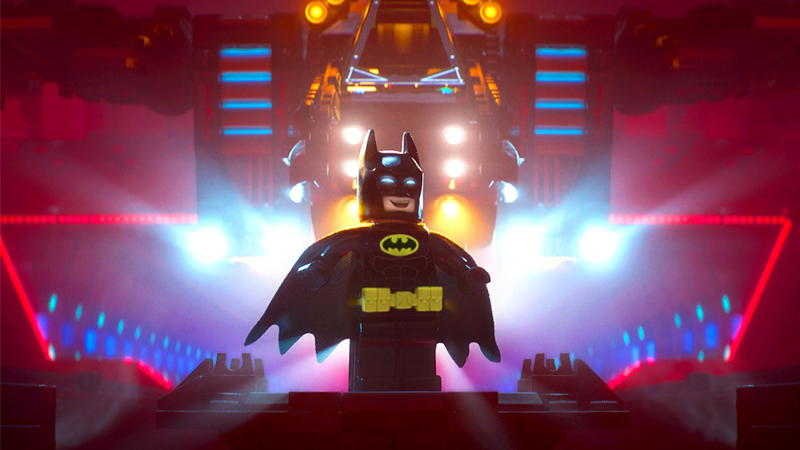 The Lego Batman Movie was one of the biggest surprise announcements to come out of the success of The Lego Movie. Now the first pics are here, and the movie looks just as fun as its predecessor. I mean, just look at his happy little Lego face! USA Today revealed the first stills from the movie, featuring Batman showing off his fancy lair and getting into some aerial action with the Batwing. For a man who works in black (and sometimes very very dark grey) Lego Batman’s Batcave is surprisingly colorful. I really want to see what “Glam Bat” looks like. Good news: it won’t be long before we see even more from Lego Batman. The first trailer for the film is being released this Wednesday, March 23rd.